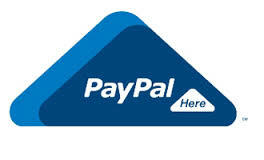 Crafted DreamScapes Introduces PayPal Here! Crafted DreamScapes is proud to announce that it is now more mobile than ever with it’s purchases by introducing PayPal Here! Aside from now being able to check out Crafted DreamScapes online at it’s Official Website: www.CraftedDreamScapes.com where you can browse the many items that Crafted DreamScapes has to offer and is always changing it’s inventory to new and more creative things – Crafted DreamScapes is working on putting together a Catalog once it’s products soar! The Catalog would include images of completed work, options you could want, but maybe in a different color – Crafted DreamScapes will be including all the necessary check boxes someone would need in placing an Order with us, so that we understand exactly what it is you want! Hopefully this will be all coming along really soon! Take care and have a wonderful October and even better Halloween!!! This entry was posted in NEWS LETTERS & ANNOUNCEMENTS and tagged dream catchers, mobile shop, online checkout, online shopping, paypal here, shopping on October 16, 2014 by Crafted DreamScapes.